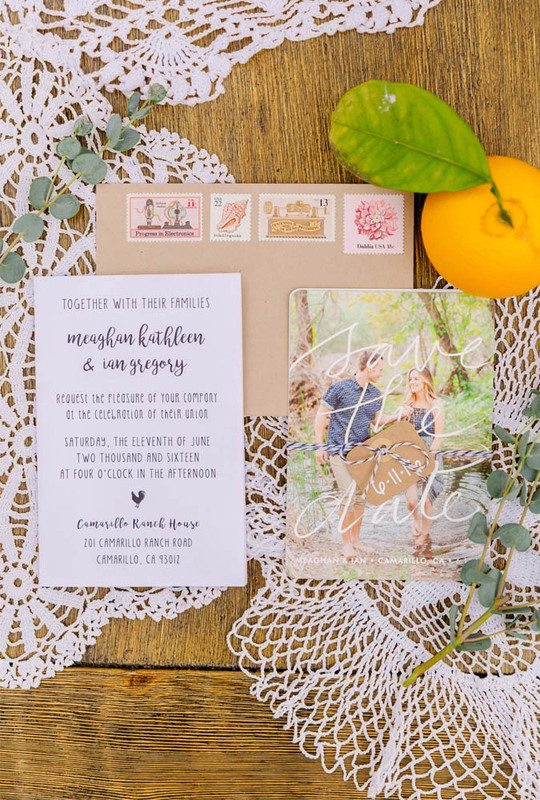 Step into the land of wedding charm with a tour of my own wedding invites! 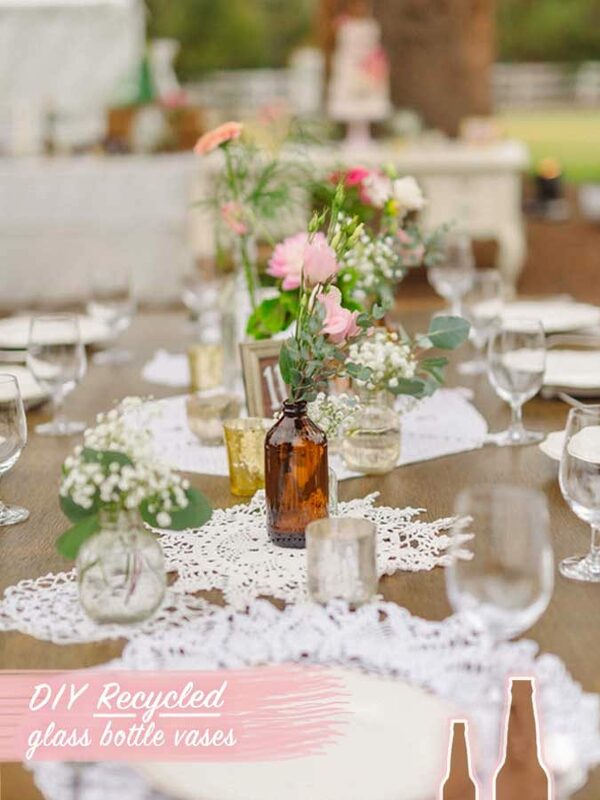 These farmhouse style invitations were an affordable alternative for a bride on a budget. 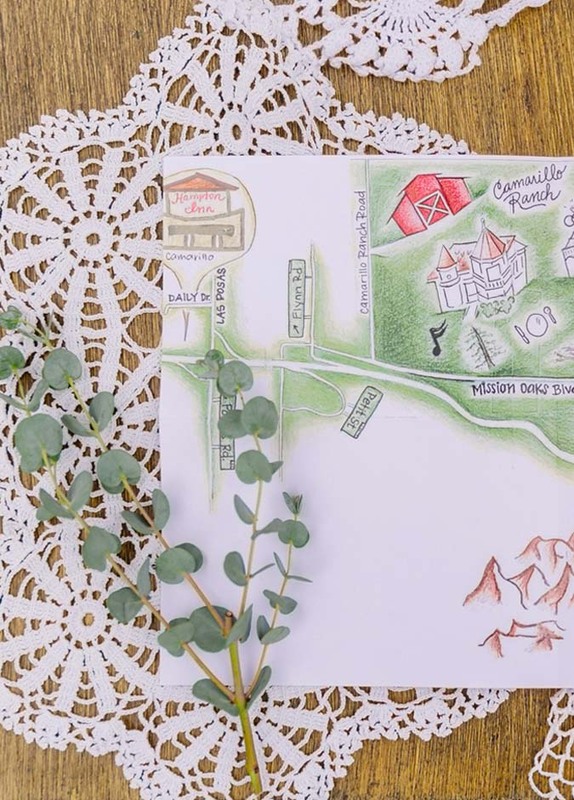 My husband created the layout in Photoshop for free & we drew the map by hand. 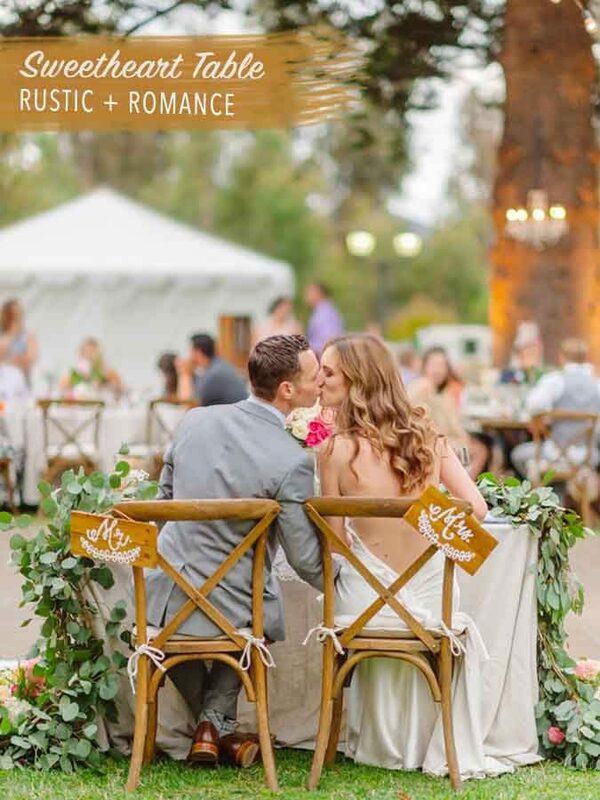 The wedding was held on an old victorian ranch estate in Camarillo, California. It was a bit of a drive for guests (2+ hours), so we hoped a map would make the trip feel less like a chore and more of an adventure. It also helps guests from getting lost. Or worse – missing the In-N-Out. The invitation folds open to reveal the wedding location + local hotels + highway exits. And let’s not forget the In-N-Out. Did I mention that already? 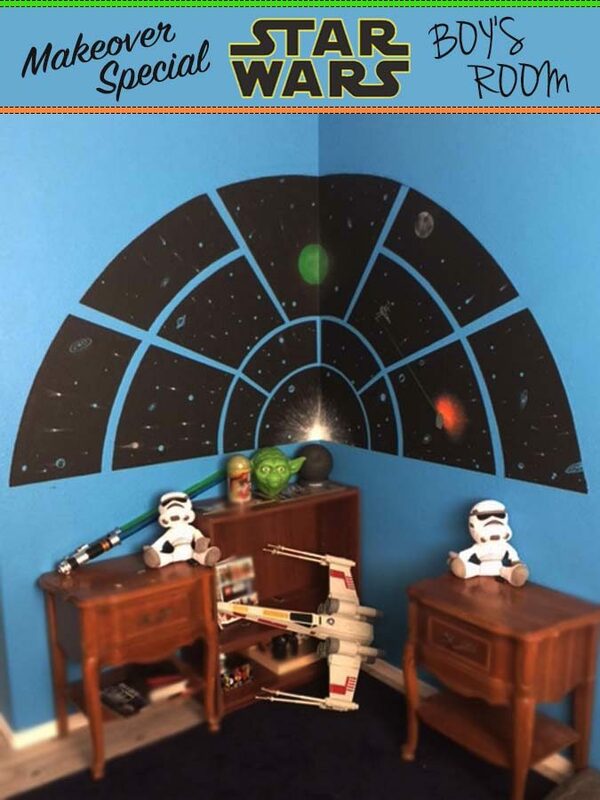 You know, the important stuff! 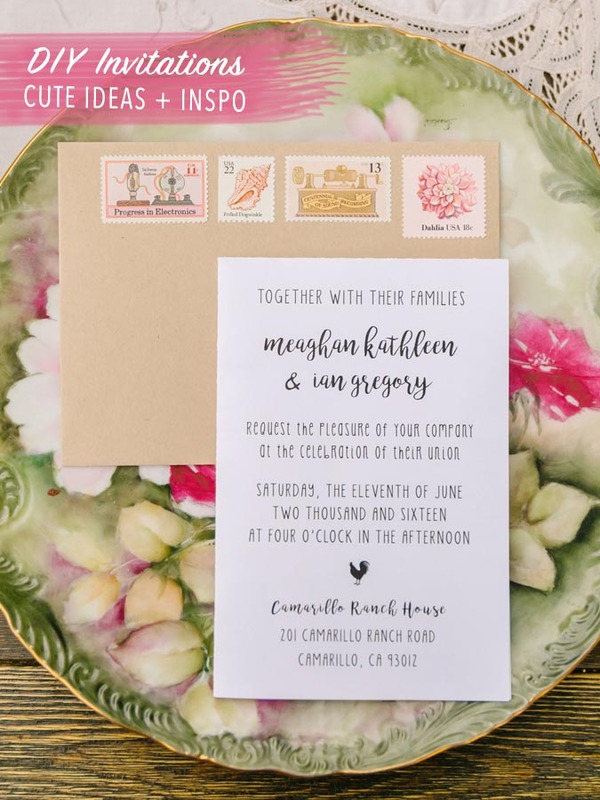 There are plenty of old school traditions in the world of wedding invitations. People have strong opinions on the proper etiquette, styling, wording, etc. My own mom reacted to these invites with sort of a half-smile, half-confused face. 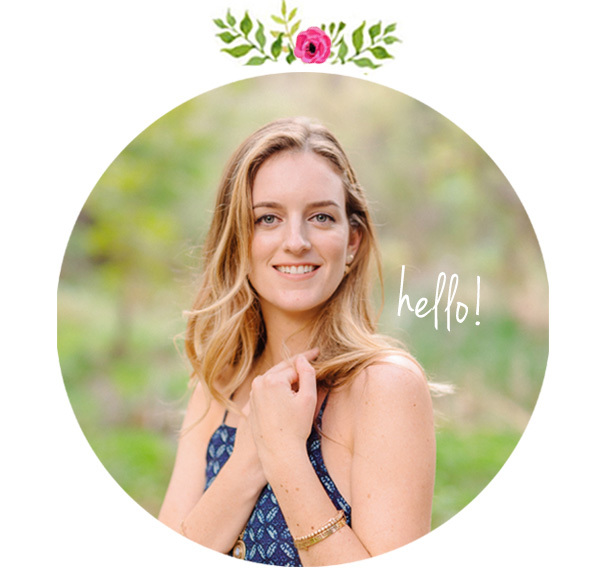 I insist that if you wish to plan an event that is authentically you, then its important to choose something that feels natural and not forced. 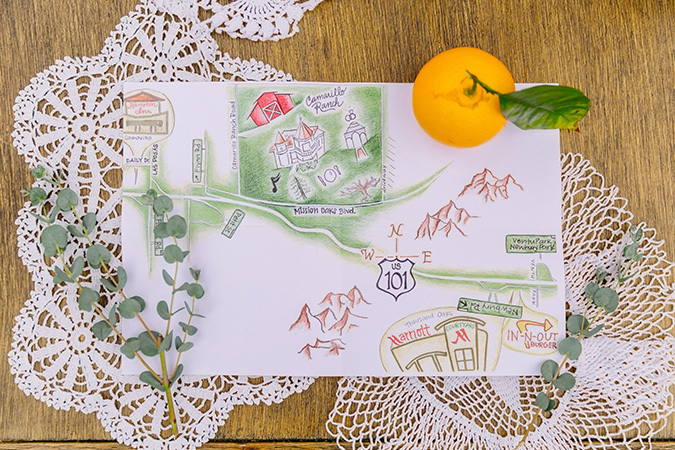 A fold-out map might ruffle a few feathers, but being different usually does! I have very few regrets when it came to planning our Big Day, and they came from listening to the opinions of others before my own. Thankfully the invites weren’t one of them! Remember, its YOUR day! 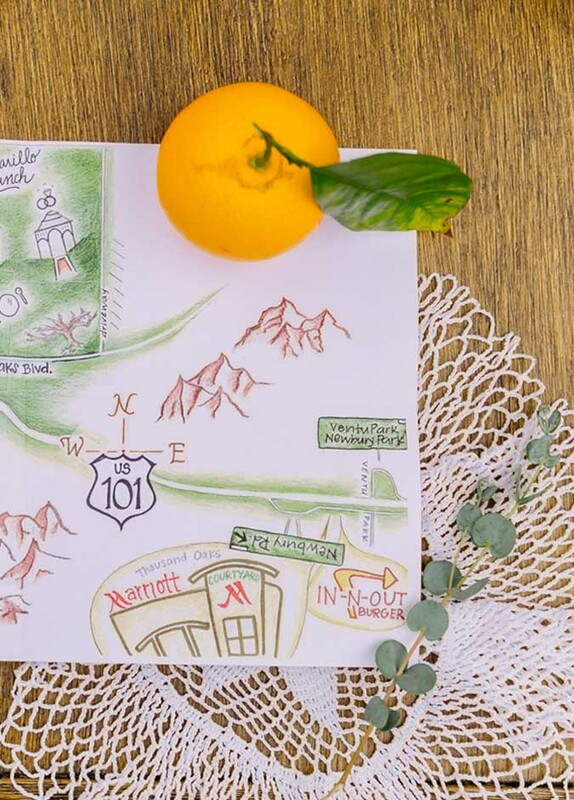 Tip # 2 : Consider that guests will be coming from different directions, so include all possible roads! 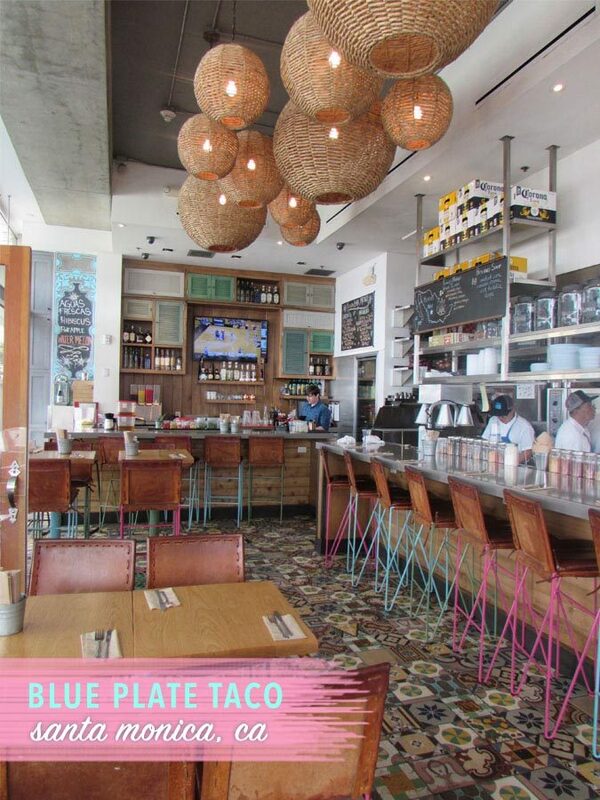 Tip # 3 : Add fun spots like tourist attractions, eateries, the after party, etc. Here’s a look at the whole invitation suite. The save-the-dates were magnetic photos from Minted.com. 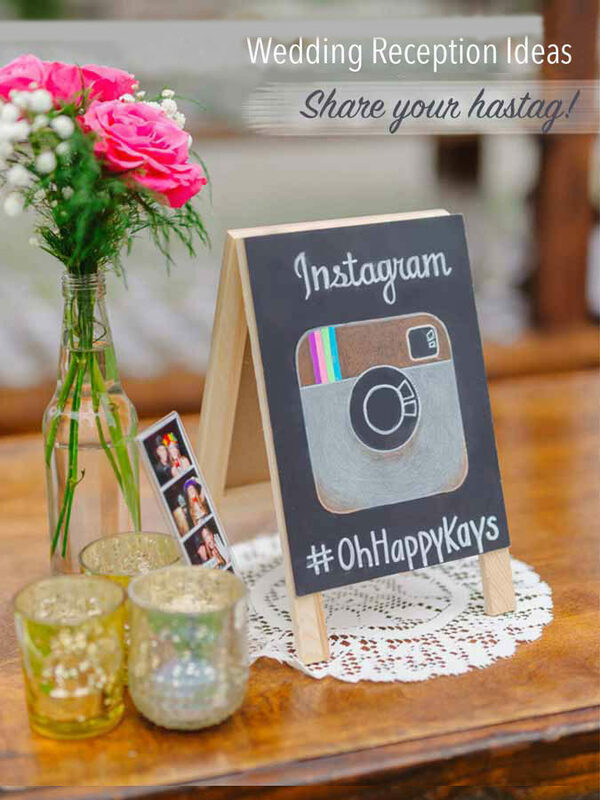 Check out our latest post to see how to create this custom picture magnet + other inspo! The pink stamps were ordered on Etsy from Verde Studio. These stamps come unused (be careful not to buy used vintage stamps – Etsy sells both!). You will need the cents on the face of the stamp to add up to enough $ for today’s mailing rate. I recommend making one sample invite and weighing it before you order stamps. The post office can weigh this for you, or try a food scale if you have one handy. 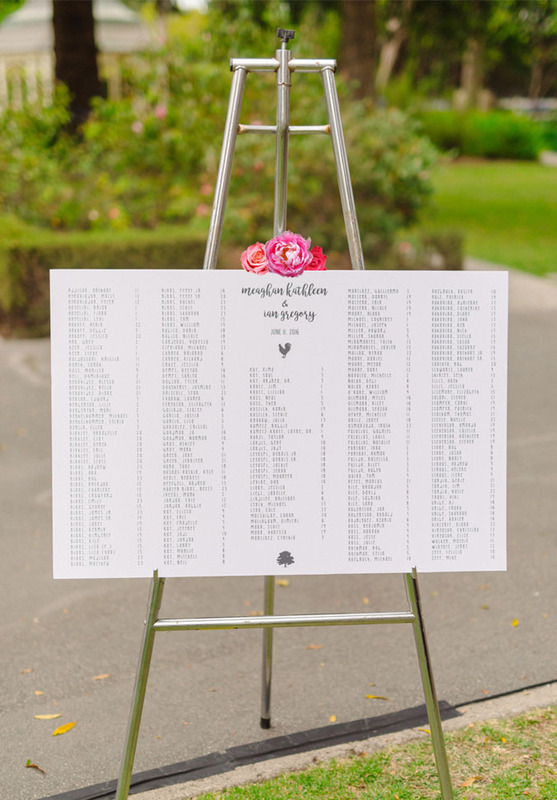 This sign was made by the groom in Photoshop and printed for $85 at Office Depot. 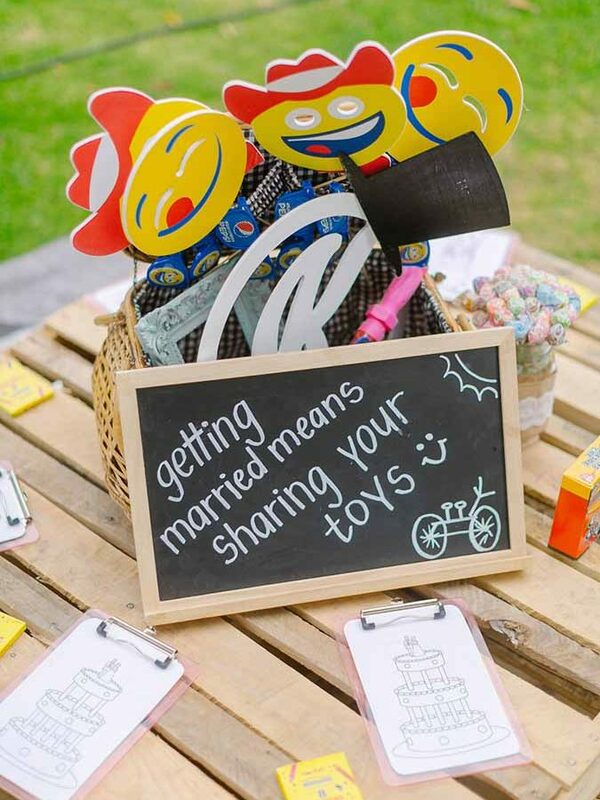 Saves you some $ and helps to brand your Big Day! If you’d rather ditch the DIY for a quick + easy buy, contact us online to collaborate on your own custom project.